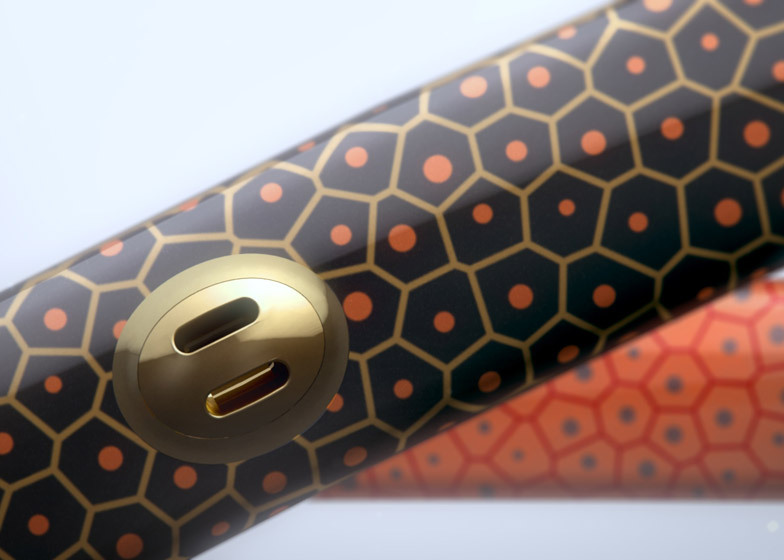 Designer Marc Newson has created a series of 10 katana swords, modelled on the traditional weapons used by Japanese samurai warriors and each carrying a price tag of $300,000 (+ slideshow). 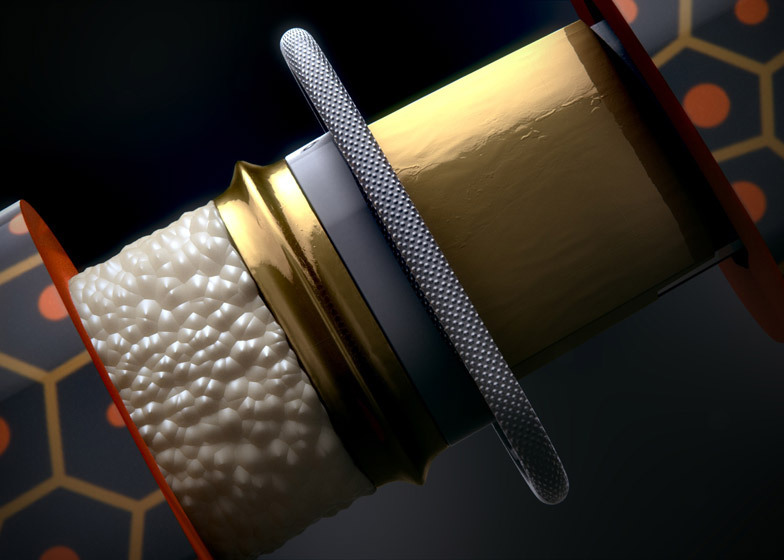 The limited-edition Aikuchi swords have a curved, single-edged blade and a long grip to accommodate two hands. Their name refers to the Japanese term describing a sword mounting, in which the handle and the scabbard meet without a hand guard in between. Katana swords date back to Japan's Kamakura period, which began in the 12th century. They were traditionally worn with the cutting edge up through a belt-like sash and designed to be drawn quickly during close combat. 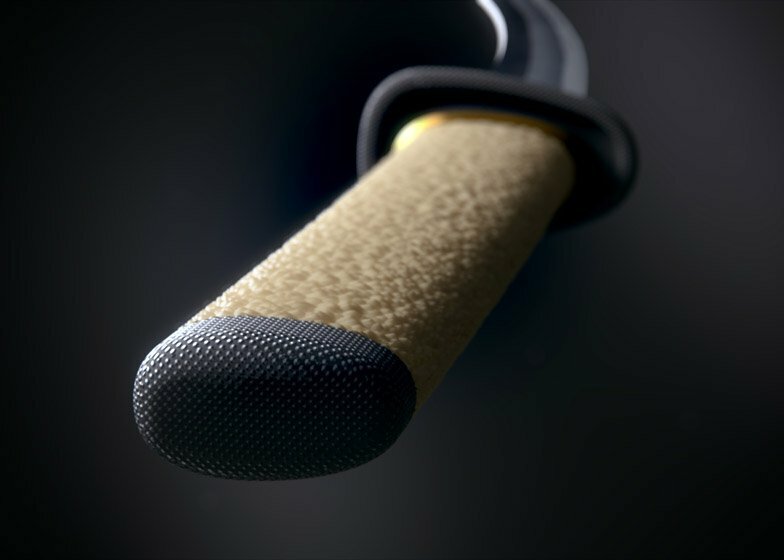 Newson's design features a pearlescent handle grip textured with small bumps, replacing the braided leather found on early models. The long swords are paired with shorter daggers and both are presented on a wooden stand. 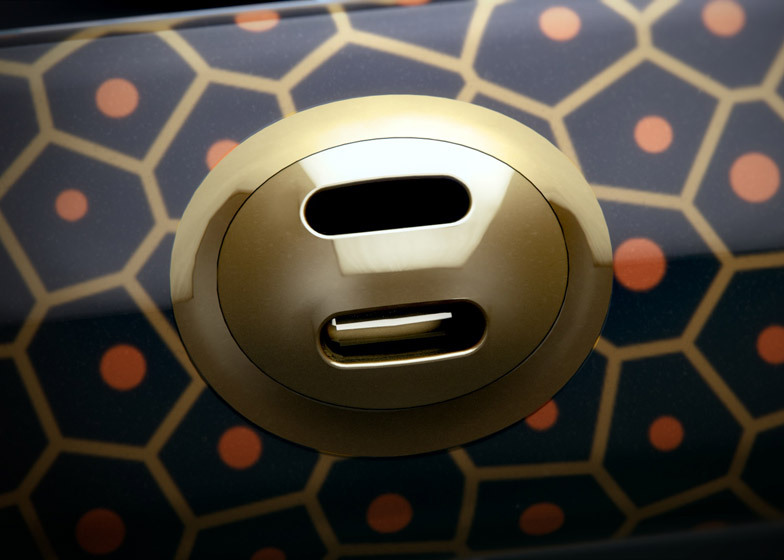 The weapons are stored in scabbards patterned with aVoronoi pattern of tessellated polygons in gold, orange and grey. The project is a collaboration between Newson and design studio WOW. The father of WOW president Hiroshi Takahashi is a ninth-generation swordsmith. Takahashi was compelled to help the Japanese craft industries after they were affected by the 2011 earthquake in Tohoku, which devastated the region. Newson designed the swords to show off the skills of the local swordsmiths and encourage others to carry on the craft. "This project is an effort to shine a light on the Tohoku region and its art of traditional craftsmanship, which is now in danger of disappearing, by bringing global attention to its arts," said a statement from WOW. 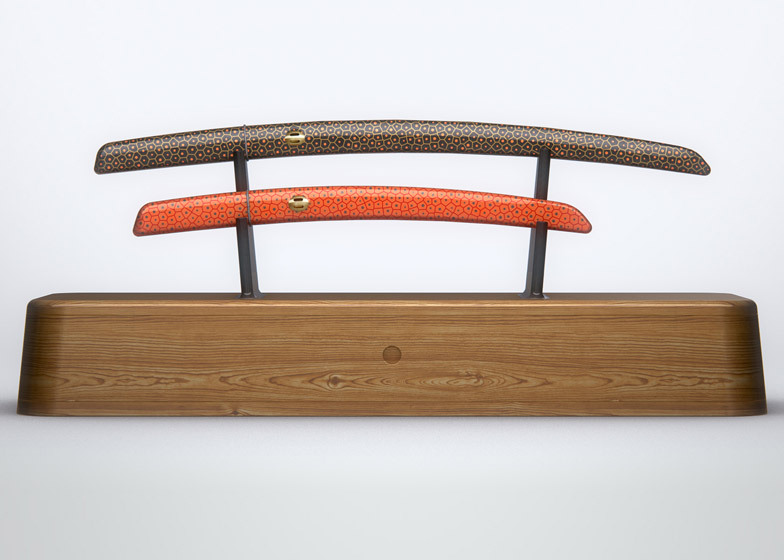 Only 10 editions of Aikuchi have been made and each is on sale for $300,000 – just over £200,000. Newson, who joined the team at Apple last year, has previously told Dezeen that he has tried his hand at designing almost everything. His product launches in 2014 ranged from a shotgun designed for Beretta to a draft beer machine for Heineken.